2018 has been an incredible year for Portland real estate. We are grateful for the opportunity to help you realize your real estate goals. 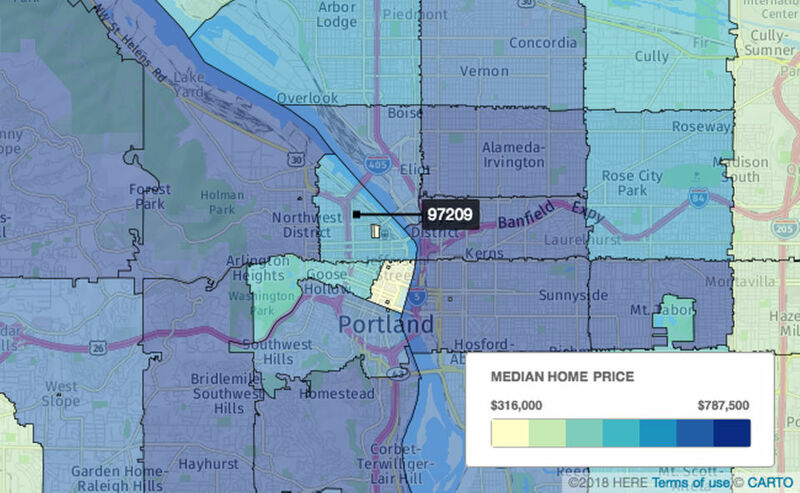 Million-dollar homes are still rare in metro Portland, but their share of the market has more than tripled in five years, according to the real estate website Trulia. 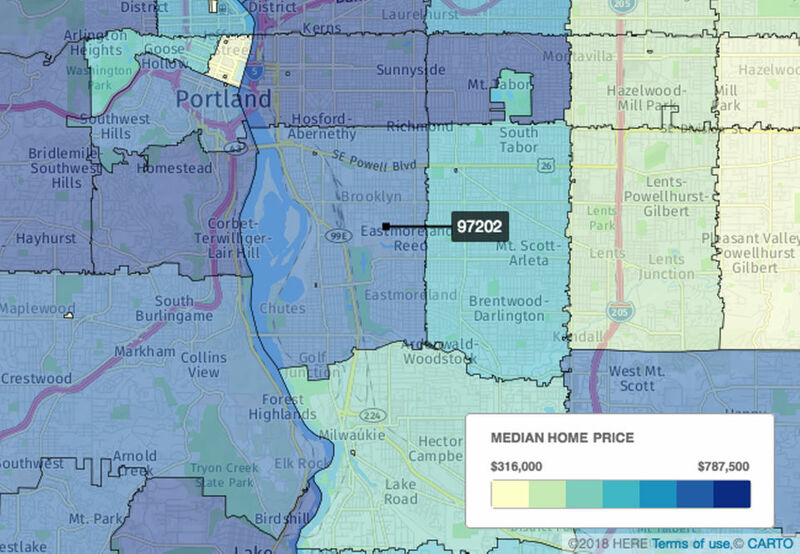 About 1 in 40 homes hit that threshold in the Portland area in 2018, Trulia said, up from 1 in 125 in 2013. 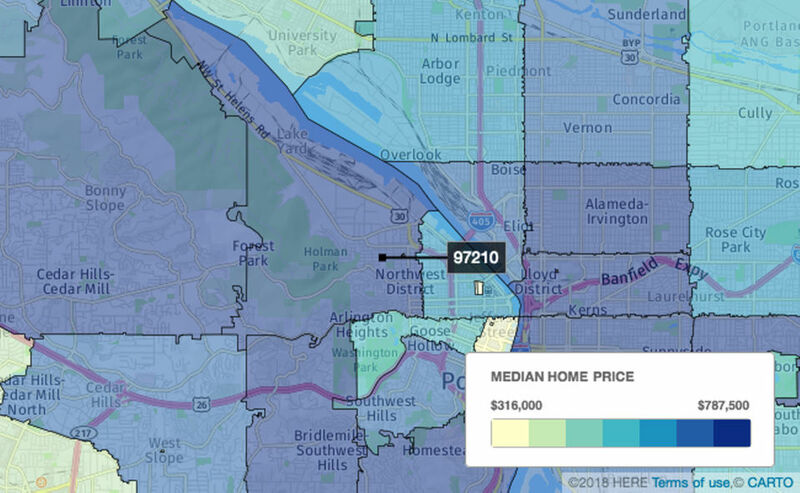 And while nearly all major metros are seeing an increase in million-dollar homes as prices rise across the nation, the shift has been more dramatic in Portland. In 2013, Portland ranked 42 out of the 100 largest metros in its share of homes valued over $1 million. In 2018, it had climbed to No. 28. 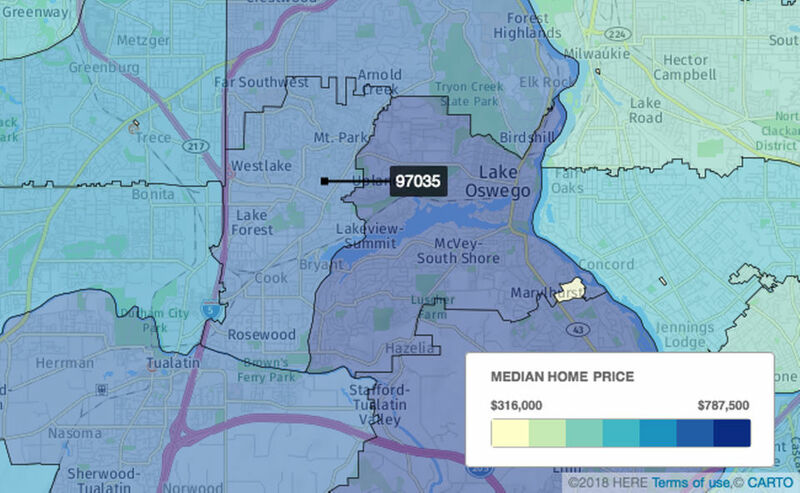 Home prices in the Portland area have climbed 47 percent since 2013, according to the S&P CoreLogic Case-Shiller index. The median home price topped $400,000 for the first time this year, according to the Regional Multiple Listing Service. In the Bay Area, million-dollar homes have become the norm. The median San Francisco home value is $1.3 million, according to Trulia, and 81 percent of homes cost more than $1 million. 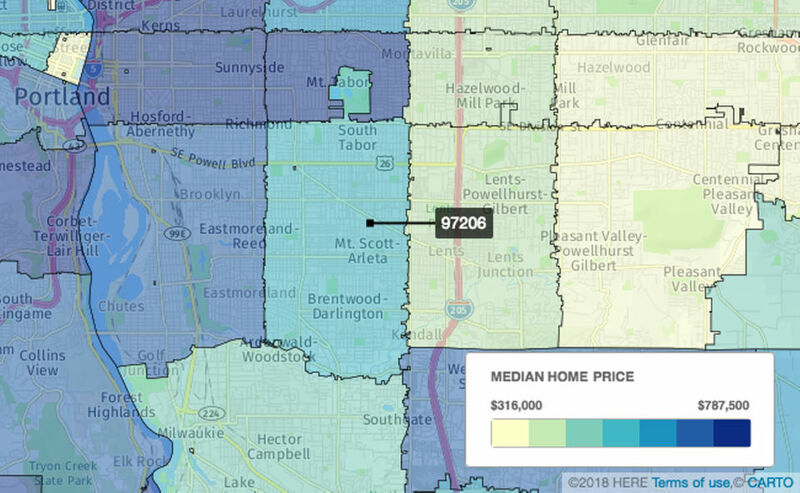 About 13 percent of Seattle-area homes are priced over $1 million. 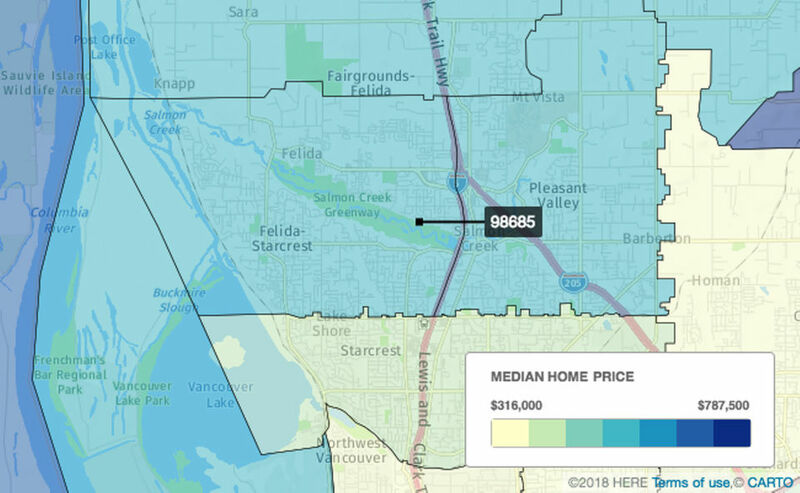 The median home price there is $565,000. 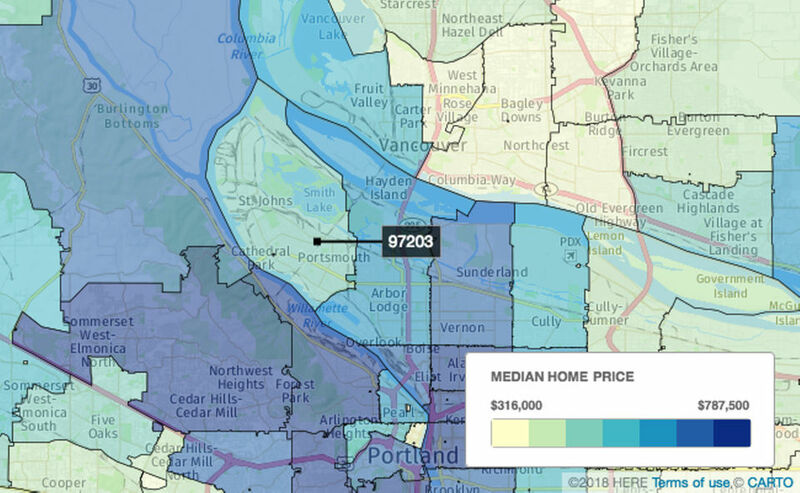 Portland’s run of rapidly rising home prices is slowing down — but it’s not stopping. 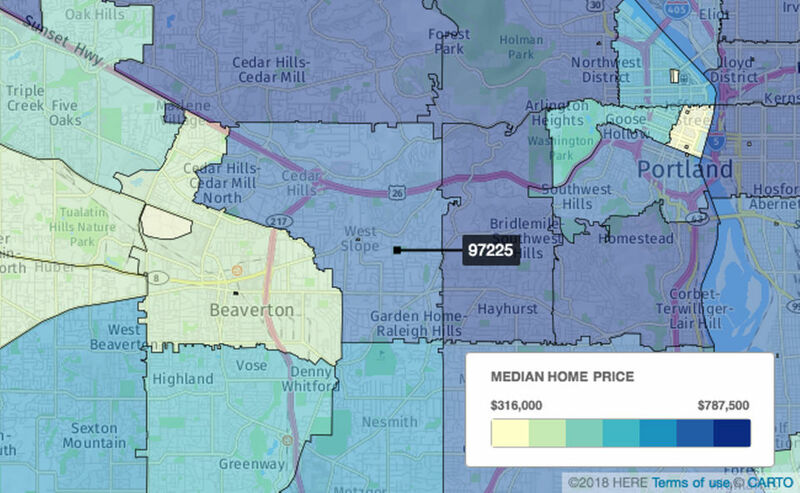 Of nearly 70 neighborhoods analyzed by The Oregonian/OregonLive using sale data from the Regional Multiple Listing Service, all but 10 saw the median price rise for homes sold in year’s second quarter compared with a year earlier. The 10 exceptions include neighborhoods that were among the busiest during the Portland metro’s hot streak. Together, they saw the median price fall just an average of 3 percent. That doesn’t necessarily mean homes are losing value — the shift could be the result of slower sales at the highest price tier. 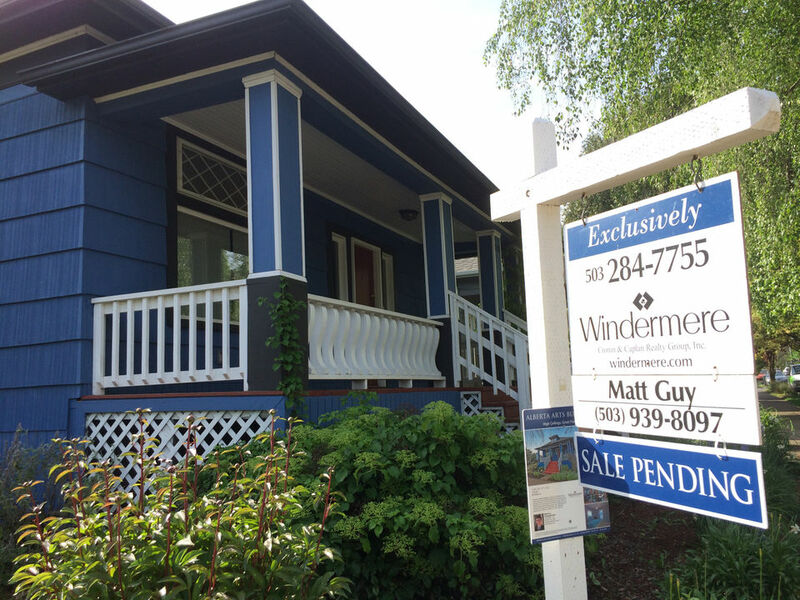 But it could also be a sign homesellers are losing leverage over buyers. 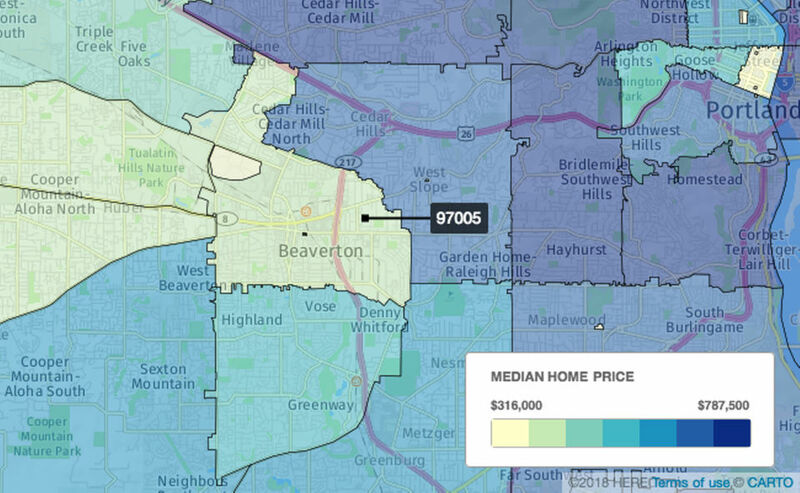 Here are the 10 neighborhoods where the median price fell in the second quarter. In the 97202 ZIP code, there were 170 sales. Homes spent an average of 27 days on the market, and the median sale price was $525,500, down 10.2 percent from $585,000 a year earlier. More on this neighborhood. 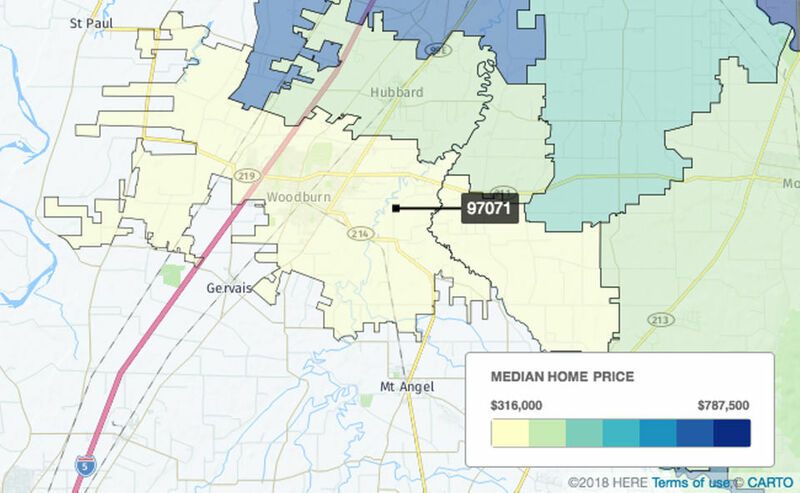 In the 97209 ZIP code, there were 98 sales. Homes spent an average of 46 days on the market, and the median sale price was $432,500, down 6 percent from $460,000 a year earlier. More on this neighborhood. In the 97071 ZIP code, there were 102 sales. Homes spent an average of 45 days on the market and the median sales price was $252,500, down 4.9 percent from $265,500 a year earlier. More on this neighborhood. In the 98685 ZIP code, there were 148 sales. Homes spent an average of 27 days on the market, and the median sales price was $389,500, down 3.3 percent from $403,000 a year earlier. More on this neighborhood. In the 97225 ZIP code, there were 108 sales. Homes spent an average of 30 days on the market, and the median sale price was $535,950, down 2.2 percent from $547,750 a year earlier. More on this neighborhood. In the 97005 ZIP code, there were 83 sales. Homes spent an average of 18 days on the market, and the median sales price was $345,000, down 1.4 percent from $350,000 a year earlier. More on this neighborhood. In the 97210 ZIP code, there were 60 sales. Homes spent an average of 53 days on the market, and the median sale price was $555,000, down 1.2 percent from $562,000 a year earlier. More on this neighborhood. In the 97206 ZIP code, there were 254 sales. Homes spent an average of 23 days on the market, and the median sale price was $399,000, down 0.7 percent from $402,000 a year earlier. More on this neighborhood. In the 97203 ZIP code, there were 150 sales. Homes spent an average of 22 days on the market, and the median sale price was $378,125, down 0.5 percent from $380,000 a year earlier. More on this neighborhood. In the 97035 ZIP code, there were 161 sales. Homes spent an average of 27 days on the market, and the median sale price was $510,000, down 0.2 percent from $511,000 a year earlier. More on this neighborhood. This estate is architecture at its visionary best: It engages, exhilarates and inspires. Casual daily living and lavish entertaining are embraced within this versatile residence. The fenced yard and gardens include a pool & spa, putting green, bocce court, water feature and outdoor dining area with a fireplace & built-in BBQ. This property is ideal for both formal and informal gatherings. Close to High Tech, Forest Park and NW Portland. For more information click here. Restoration Hardware recently opened an RH Baby & Child and RH Teen gallery on NW 23rd in the old RH space. For more information click here.